This unidentified species, about 50-75 mm. 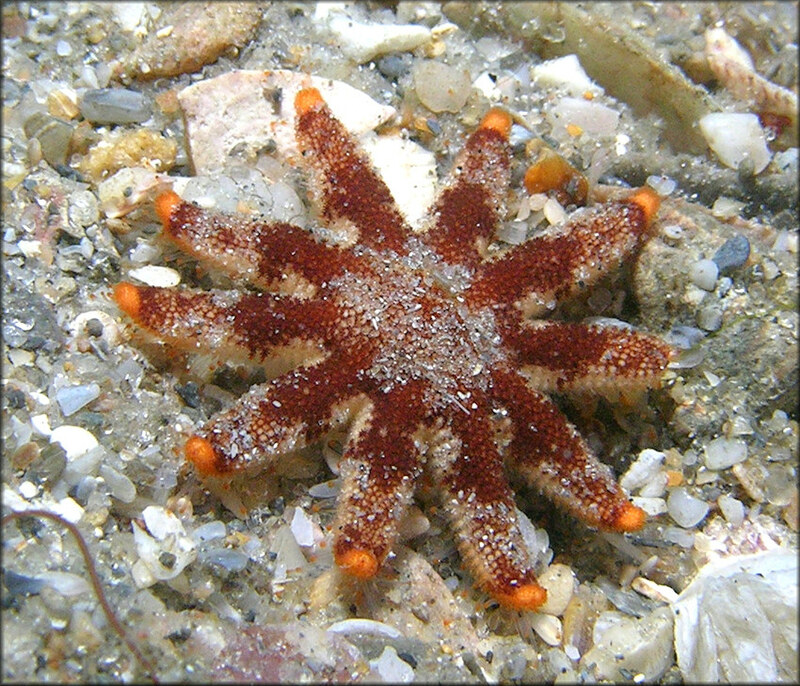 in diameter, was photographed in the Lake Worth Lagoon, Palm Beach Inlet, Palm Beach County, Florida by Anne DuPont on 8/23/2009. Underwater photograph copyright 2009 by Anne DuPont.